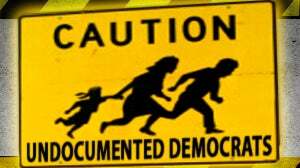 DACA Debacle Backfiring on Dems? RUSH: Here is Robert in Danbury, Connecticut. Great to have you on the EIB Network. Hello. CALLER: I hear people still saying what’s the big deal about illegal immigration. CALLER: No, not on your program. I apologize. But I still hear people talking about it. CALLER: And I say to them, you know, in June I got hit head on by an illegal immigrant. I had to have surgery. Of course he had no driver’s license, no insurance, no identification at all, but I’ve been out eight months now without working, unable to work. Hopefully I’m going back to work at the end of April, beginning of May, but it’s just — you know, and I live in this great sanctuary state of Connecticut where we don’t do anything to the illegals. They’re allowed to stay here, but they don’t have to follow the rules. And, you know, I was among the mind-set of, oh, what’s the big deal, they’re here trying to make their lives better. Well, when they ruin yours, hopefully people will wake up before it happens to them as well. CALLER: But the difference is, Rush, if you or I did it and we didn’t have a driver’s license and insurance, where would we be? RUSH: Well, you wouldn’t have the car unless you had stolen it or broken some other law. I get your point. We are held far more accountable to existing law than illegal immigrants are. Of course, by definition, they’re here illegally, and they’re not held accountable. CALLER: Luckily, I have friends and supportive family to help me through this because can you take nine months off without pay? Most Americans can’t. RUSH: I totally sympathize with your situation. (chuckling) Snerdley keeps trying to goad me here into a discussion of something that I put the brakes on here. But, anyway, I’m very sympathetic to your situation. I marvel. You know, these instances, unfortunately, are all too frequent. It seems to me that in doing show prep I run across this story or a variation of it at least twice a week, where an illegal immigrant has been involved in a serious accident or crime, and it’s not an accidental crime. It’s a violent crime or whatever. And then I’m treated to “immigrant advocates” saying it’s unfair to lump these people into the great universe of illegal immigrants we’re talking about. In fact, I’ll tell you, I actually think… Let me find it here. I think this whole thing is about to fall apart on the left. Well, let me say, I don’t think it’s about to fall apart, but I think it could, because I think the illegal immigrant universe is cracking. It is not unified, and the evidence for it is a story that I found today in the… Let’s see. What’s…? I think it’s the… Yeah, it’s the Los Angeles Times. It’s an amazing story about an illegal immigrant, a bunch of ’em who have been here 30 years, who are fed up hearing about the DACA kids. They’re fed up with having anybody care only about the DREAMers. They’re fed up with a bunch of young illegals who want to come here and do nothing but get on entitlement rolls. They’re fed up with it. 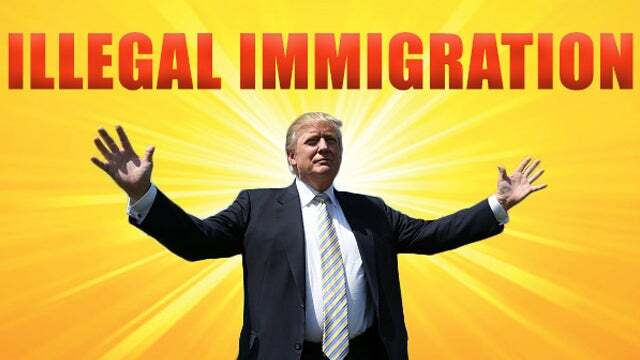 The illegals that have been here 30 years, in their minds, they’ve paid their dues, and they should be granted amnesty if anybody is first. And they should be the… They’ve been working, they’ve been paying taxes, and here come these DREAMers kids and here come these DACA kids — and they’re being very open about how they resent all of the attention the kids are getting. I’ll share with you details when we get back. Don’t go away. RUSH: Now, look, the LA Times piece attempts to say that the seasoned illegal aliens — the people that have been here 25, 30 years — are all of a sudden righteously indignant. They’re deeply offended! They’re profoundly irritated. They’re very agitated. They’re just ticked off at all the attention the DACA kids are getting and that the DREAMer kids are getting. There’s once again in the story that is quoted as not being very complimentary toward the DACA/DREAMer kids. (paraphrased) “They’re just a bunch of sponges. They just want to come here, be taken care of, get on the welfare rolls. I thought I would tease you that, Mr. Snerdley. I’ll give you some details on the story side, but it could go either way, and I don’t doubt the discord is real. I mean, it’s human nature. You’ve been here 25, 30 years doing whatever you do “in the shadows.” You think you’ve followed the rules (after you got here) and you want to be a citizen, and then you see the United States the government going bonkers over the kids! It would have to tick of off, especially when the kids are not yours. So I can believe the rift is real, but the objective of the LA Times here is not to expose the rift. It is to just pull the trigger on amnesty for everybody and ultimately get rid of the Republicans, which would be the objective of it.